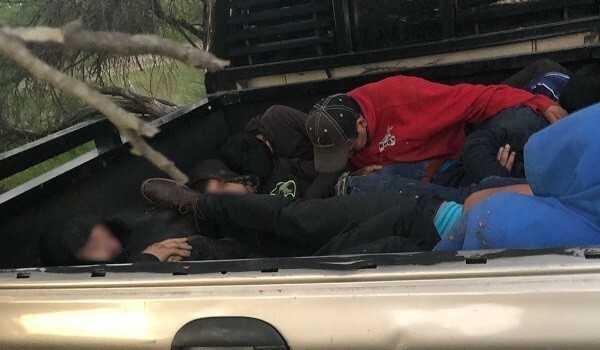 Hebbronville Station Border Patrol agents observed four pick-up trucks on a ranch located north of the town of Oilton, Texas, during the early morning hours of April 12. 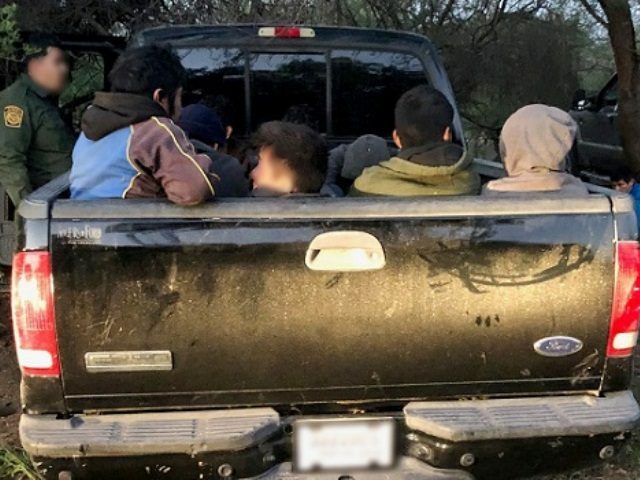 The agents monitored the alleged smuggling operation as they waited for assistance from a U.S. Customs and Border Protection (CBP) Air and Marine Operations (AMO) helicopter aircrew, according to information obtained by Breitbart News from Laredo Sector Border Patrol officials. 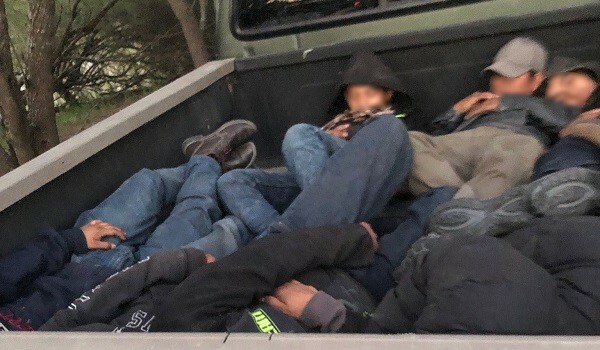 As the agents approached the vehicles, they discovered 40 illegal aliens hiding in the beds and cabs of the four pick-up trucks, officials stated. The AMO aircrew began a search operation of the area and found an additional 17 illegal aliens hiding in the brush. Ground-based agents located the migrants and took them into custody. During immigration interviews, the agents learned that the 57 migrants came to the U.S. from four different countries — Guatemala (30), Mexico (19), Honduras (6), and Nicaragua (2). The agents transported all 57 illegal aliens to the Hebbronville Station. All migrants apprehended by Border Patrol agents after illegally crossing the border are subjected to a biometric background investigation. The investigation checks for prior criminal and immigration history as well as gang affiliation. Officials stated that the migrants will be processed according to Laredo Sector guidelines. The Laredo Sector is one of only two sectors that is not experiencing triple-digit growth in the apprehension of Central American migrant families. During the first half of Fiscal Year 2019, the Laredo Sector experienced only an 87 percent growth of Family Unit Alien apprehensions over the previous year.